We are the leading manufacturer, supplier, wholesaler and trader of Roll to Sheet Cutting Machine to our valuable clients. We feel immensely pleased to offer an exclusive gamut of Automatic Roll To Sheet Cutting Machine that is mainly used in packing industry. Our offered machine is manufactured by utilizing finest quality raw material and advanced technology by our skilled professionals. In order to ensure quality, this machine is rigorously tested on various parameters. In tune with industry standard, we provide the entire range in different sizes and designs, as per the ever-evolving requirement of our clients. We are instrumental in offering our clients a high quality range of Roll To Sheet Cutting Machines. It is specifically manufactured to enhance the production and fine culling of 2 ply boards without causing any damage to the flutes of the board and plain paper. 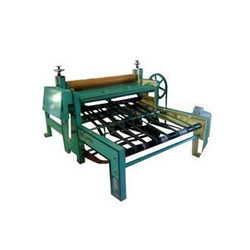 The offered machine is manufactured using best grade components and contemporary technology. We assure our clients that our range is quality tested on predefined parameters, in order to meet industry standards. Apart from this, our prestigious clients can avail the entire range, as per their needs, at highly competitive price. We have emerged as a leading organization, engaged in offering superior quality Semi Automatic Roll To Sheet Cutting Machine. 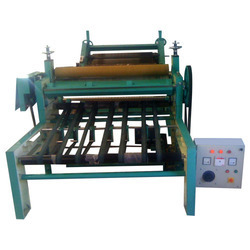 The offered machine is manufactured using best grade factor input and advance technology by our deft professionals. In order to ensure the quality, this machine is stringently tested on various parameters. 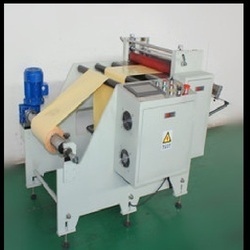 Mainly used for cutting rolls in sheets, Clients can avail this machine from us in different specifications, as per their needs.